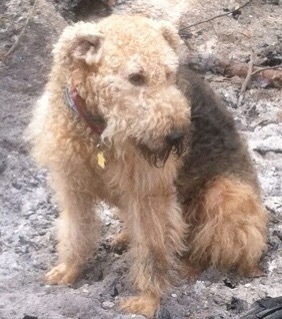 Muzzy is a approx 6 yr old boy dale who is ready for adoption. More to come! 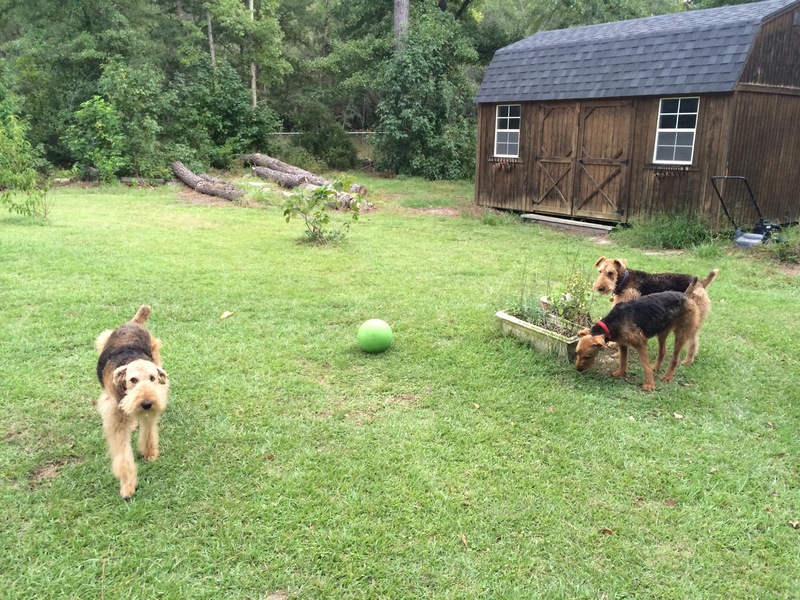 Muzzy gets along well with his Airedale siblings at the foster home. He has also behaved well around other dogs, and is tolerant of cats. He loves walks, though a gentle leader is helpful. Muzzy is full of energy, very attentive and loves to play ball. He is very affiliative, and can be a little clingy but responds well to ‘off’ or ‘no’ commands. He lost a mandibular canine in an accident but is otherwise healthy. Neutered, HW -. He likes lying about after a good playtime or walk, and is generally submissive toward his older foster siblings. 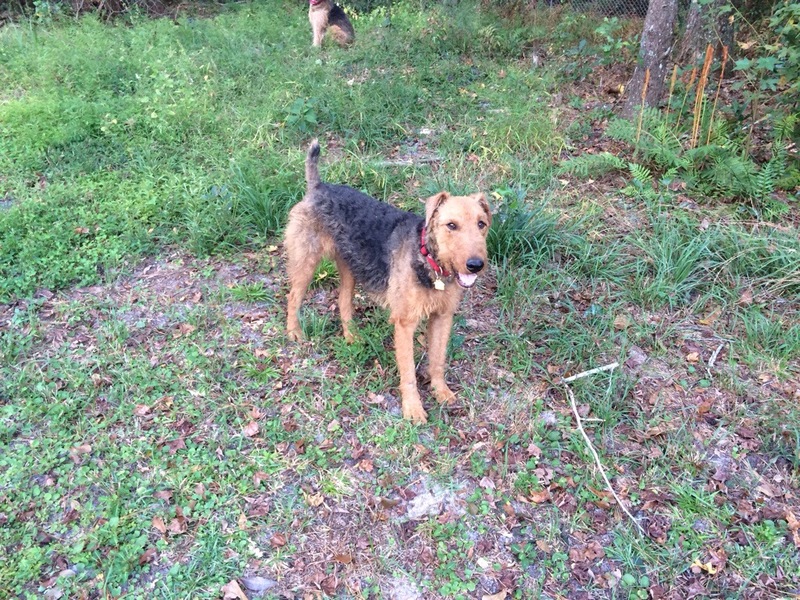 He is friendly toward people, though has an authoritative bark when strangers approach the yard.